Edible Christmas Tree From Kiwi And Tangerine Slices On A White Plate Over Light Slate, Stone Or Concrete Background.Top View With Copy Space. Lizenzfreie Fotos, Bilder Und Stock Fotografie. Image 110129882. 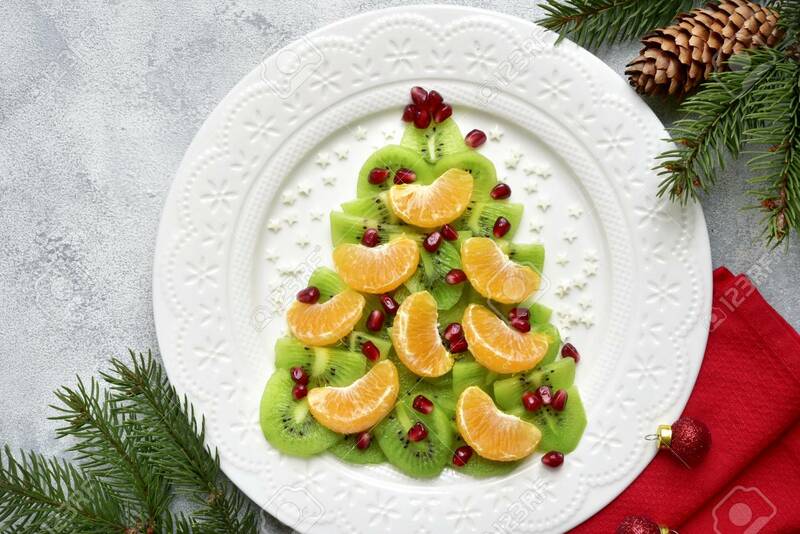 Standard-Bild - Edible christmas tree from kiwi and tangerine slices on a white plate over light slate, stone or concrete background.Top view with copy space. Edible christmas tree from kiwi and tangerine slices on a white plate over light slate, stone or concrete background.Top view with copy space.